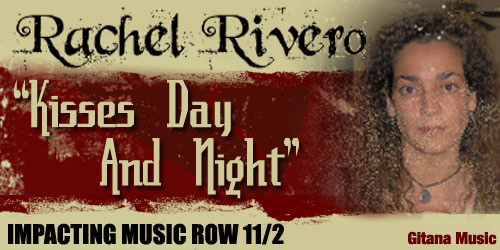 The release of Rachel Rivero's 'Kisses Day and Night' takes place Nov. 10, 2006. Rachel Rivero of Merced California is a Latina singer/songwriter releasing her debut single called Kisses Day and Night. 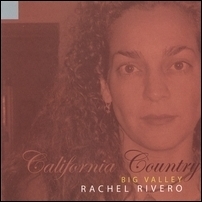 The EP of five songs is called California Country-Big Valley and is under Rachel's label called GitanaMusic. Gitana means gypsy in Spanish and she likens her childhood to that of a gypsy because they moved often. She is excited to be one of very few Latinos to represent Californians in the Country Music genre. Rachel has five children, is single, teaches English and Aerobics part-time and enjoys playing and writing music at home with her kids. She has had this dream since she was an 11-year-old girl and finally, it is coming to pass. She and her band plan to begin a modest West Coast tour in later winter. To achieve the goal of raising awareness of Rachel Rivero and her music, the song must be played all over the country at the same time. Bryan Farrish Radio Promotion from Santa Monica California is managing the release of Rachel's single, Kisses Day and Night. Thus far, Kisses has been played in Colorado, Kentucky, Iowa and North Carolina. To hear morsels of Rachel's songs, visit, http://www.cdbaby.com/cd/rachelrivero. If you'd like more information about Rachel, to receive a promotional package or to schedule an interview, please call Rachel Rivero at 209.631.8995. Also, please visit her website at http://www.gitanamusic.com.